When people with hay fever are exposed to particular pollens, their body mistakenly thinks this is a threat and triggers an allergic reaction. Inflammatory cells quickly release mediators such as histamine and that’s when the symptoms kick in. In some people with hay fever, pollen allergens can trigger allergic symptoms in the lower airways as well as the nose, making it difficult to breathe. Under certain climatic conditions, such as after thunderstorms, pollen allergy can trigger asthma attacks, even in those without a history of asthma. Hay fever can have a profound effect on our ability to function normally. The problem seems to be getting worse, or at least consumers are increasingly looking to alleviate their symptoms. In the ten years to 2010, the wholesale turnover of drugs to treat hay fever doubled. Grass pollens are the major outdoor allergen trigger for hay fever in Australia. 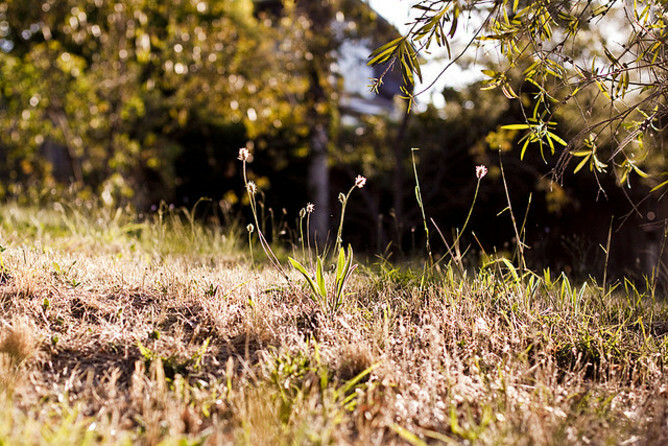 The timing and severity of the grass pollen season varies considerably between years and places, according to a recent analysis of 17 sites across Australia and New Zealand. With a temperate climate, Melbourne usually has a short but intense grass pollen season, peaking late in spring (October to November). In Hobart, the grass pollen season peaks slightly later and the pollen load is low. In contrast, Brisbane and Darwin have grass pollen seasons extending most of the year, with peaks in summer for Brisbane (January to March) and in the dry season in Darwin (May and June). Adelaide, Sydney and Canberra have the temperate grass pollen season in spring but also have secondary peaks in summer. These late summer peaks in grass pollen are likely to be due to subtropical species. Australia is yet to establish a standardised network to monitor the timing and magnitude of pollen exposure. Levels of airborne pollen are influenced by weather and other factors affecting pollen production. Predictions of airborne pollen in the absence of actual pollen counts are therefore inaccurate and unhelpful. Beyond biology, location and flowering times, patients with hay fever in Australia also show region-dependent patterns of allergic responses to subtropical and temperate grass pollens. This can affect the diagnosis and treatment of grass pollen allergy in Australia and elsewhere. A number of oral medications, nasal sprays and eye drops to treat hay fever are available over the counter at pharmacies. They work in different ways and have different pros and cons. Antihistamines have been used to manage hay fever for decades and can be the first-line treatment for those with mild or occasional hay fever. When you can predict exposure to an allergen, such as when lawn mowing or going on a picnic in spring, taking an antihistamine before the exposure will provide better protection. They are also safe to use in the long term. Opt for the newer, non-sedating varieties of antihistamines. The older drugs, which are still available, cause drowsiness and have been shown to contribute to workplace accidents in adults and impaired learning in children. Antihistamines in general are good for itching, sneezing and watering symptoms, but do not relieve nasal blockage very well. Decongestant tablets and sprays can do this job, but they are limited to relieving symptoms only and do not resolve the underlying inflammation. Overuse of decongestant nasal sprays can lead to longer-term problems with nasal blockage, so limit their use to a few days only. For people with moderate to severe and persistent symptoms of hay fever, the most effective medications are the intranasal steroid sprays. The older ones are now over-the-counter items and others are available by prescription. These sprays have a “preventative” action and are most effective when use begins before the pollen season. If not, they will start relieving symptoms after a few days. The sprays must be used every day during the season to allow the best chance of success and to minimise side effects in the nose. They have also been shown to reduce allergic eye symptoms. Some people worry that these are “steroid” sprays, but they differ greatly from traditional oral steroids. The modern topical steroid sprays are barely absorbed into the body so don’t have the much-feared muscle-building steroid side effects. A small percentage of people will experience some nasal bleeding, even if using the spray correctly; this is the most common side effect. 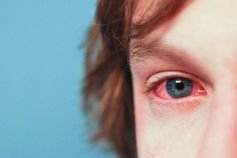 A number of people with hay fever will have troublesome eye symptoms, usually itching, watering and redness. If this isn’t relieved with topical nasal sprays, topical antihistamine eye drops can be very effective. Rinsing the eyes with an artificial tear solution of saline fluid can also be very soothing. For people with severe and prolonged symptoms or who can’t gain adequate control with available medications, allergen-specific immunotherapy is available. This should be prescribed by an allergy specialist who determines the correct “vaccine” for the therapy. The immunotherapy program may extend over three to four years and is the only therapy that can provide long-lived benefit. If you suffer from regular hay fever symptoms and medications don’t seem to be working, talk to your doctor. They can help guide you to the safest and most effective treatment option.